This stylish and subtle ombre duvet cover and sham set will give your dorm a feeling of calm while not being boring in the least. Build on the look with a rug, pillows and a lamp in the same color family and be that chic adult you always knew you were. 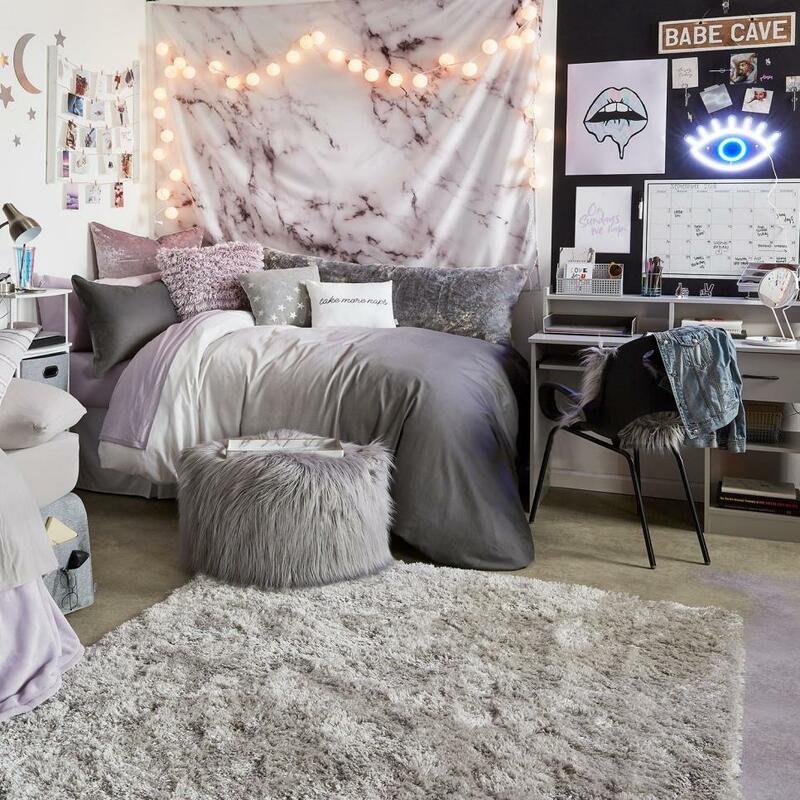 Nothing makes a dorm bed feel better than a good duvet. A pretty cover and sham paired with decorative pillows will turn your bed into a serene sanctuary you’ll be happy to crash in after a long day of classes. For a more masculine look, you can’t go wrong with a large-scale plaid. The woodsy yet trendy pattern will set a classic tone for your whole room. Cheer up a drab room with bright rainbow stripes like this playful bedding, designed by tastemaker, Kate Spade. This comforter and sham set doesn’t come with any extras, but it can be the sugary sweet anchor of your design. If you’re rooming up in a double or more, sometimes the best option is to opt for understated bedding. 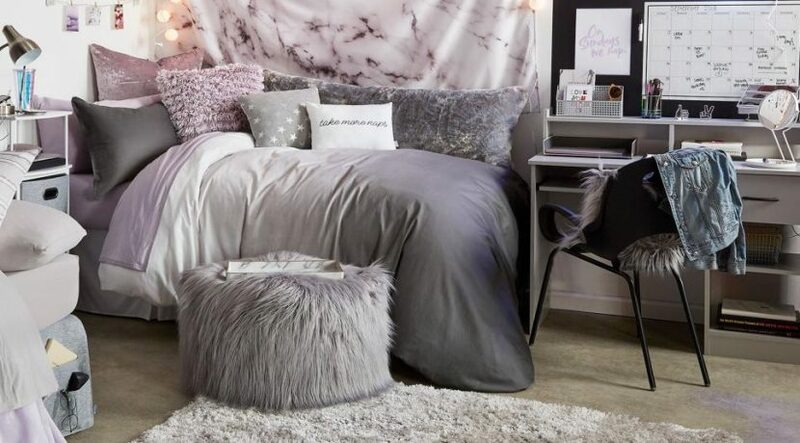 This scallop print in a subtle gray will definitely go with even the boldest of roommate’s styles.